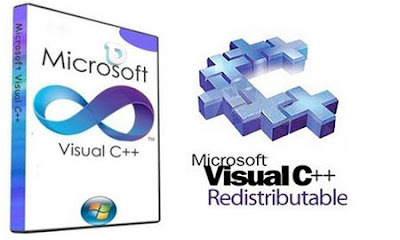 Visual C ++ Plus Visual C ++ 2017 Redistributable is the package name that has been written using libraries and components of Visual C ++ Plus, which is designed to run programs developed by Visual C ++ Plus and Visual C ++ Plus Plus is not included in the installation. Sometimes when you run a game or receive a program that shows that you do not have Microsoft Visual C ++ Redistributable installed on your system and you need to install this software to run this game or program because it does not work. The game or program is used in C ++, and your system itself is not capable of interpreting such a language. The Visual C ++ Plus Visual C ++ 2017 Redistributable software was designed and manufactured by Microsoft. The Microsoft Visual C++ Redistributable Package installs runtime components of Visual C++ Libraries required to run applications developed with Visual C++ on a computer that does not have Visual C++ installed. This package installs runtime components of C Runtime (CRT), Standard C++, ATL, MFC, OpenMP and MSDIA libraries. For libraries that support side-by-side deployment model (CRT, SCL, ATL, MFC, OpenMP) they are installed into the native assembly cache, also called WinSxS folder, on versions of Windows operating system that support side-by-side assemblies.